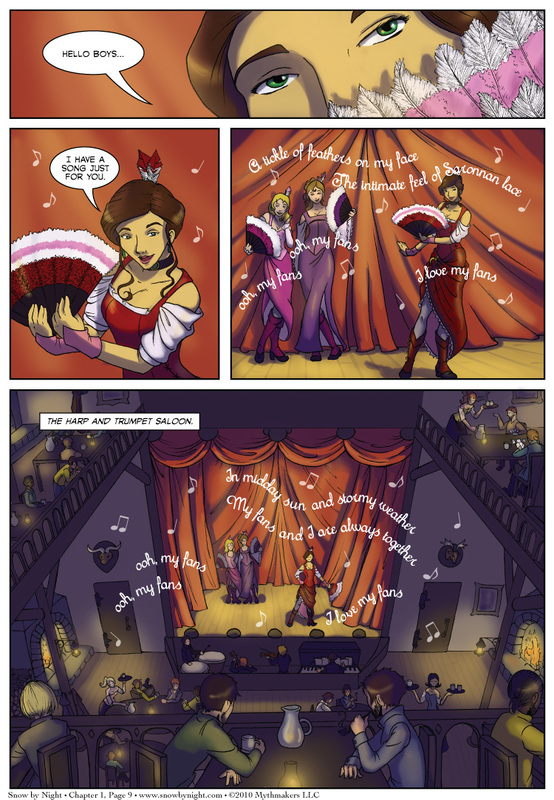 Page 9 is up – welcome to the Harp and Trumpet Saloon! It’s one of the many watering holes on Iniquity Row that caters to the sailors, trappers, and scoundrels of Sherbourg. In addition to libations, it offers a variety of entertainment, including performances by the fabulous Mathilde, the star attraction.